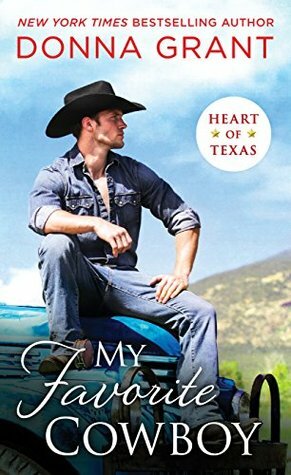 My Favorite Cowboy by Donna Grant is the third book of the Heart of Texas series. While the books of the Heart of Texas series may look like any other contemporary cowboy romance reads they are more of a romantic suspense with plenty of action involved in each book. Each book has a different lead couple so they could be read and understood as a standalone. However, for those that have followed along from the beginning the previous books characters continue to be involved. 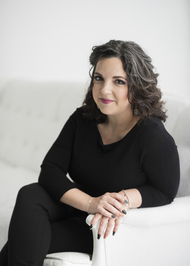 Being a veterinarian, Audrey Martinez, will do anything she can to help a sick animal so when she gets a call from an old friend about his horses she goes immediately to help. What Audrey finds however is very disturbing when it seems that the horses in question may have been poisoned. With it looking like someone is deliberately harming the horses Caleb Harper is among those asked to help look for answers. Caleb always swore he would never fall in love after the way his own mother left him as a kid but when Caleb meets Audrey he can’t help but fall for her. And when it seems the danger is directed at Audrey herself Caleb vows to do whatever he can to find out who is behind it. I have been reading this series since the beginning and have quite enjoyed each book with all of the action and romance they bring. The characters are likable, the suspense a real page turner and the settings done quite well. It’s also nice to have the previous characters still involved to see where they are in their own relationships after their own danger filled, whirlwind romantic beginnings. Great series that I would definitely recommend checking out. Nice review Carrie. I thought they were just regular romance, I didn’t know there was some suspense thrown in. Makes them sound more inviting to me.